Multiple divisions of the Eric Wright Group have worked together to deliver 30,000 sq ft of prime industrial space, perfect for trade counter occupiers, on the outskirts of Manchester. 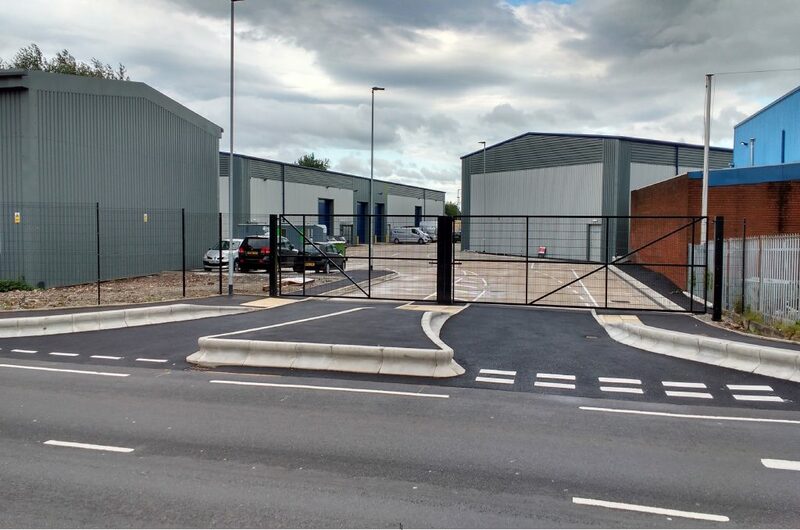 Developed by Maple Grove, the Group’s development arm and built by Eric Wright Construction, the £2.5m Victoria Trading Estate comprises seven units ranging from 2,600 sq ft to 10,000 sq ft; each complete with loading doors and designated car parking. Seventy per cent of the space has already been let, with just three units remaining – all 3,050 sq ft in size. Occupiers of Victoria Trading Estate include Howdens Joinery, Tool Station and Sally Salon. Located off Manchester Road (A62) in Oldham, the location also offers excellent motorway access and is just minutes from junction 22 of the M60. The site will now be managed by Eric Wright Facilities Management and forms part of its growing £60million+ property portfolio. Jim Carter Deputy Chairman at Eric Wright Group, said: “Victoria Trading Estate is a true Group effort, showcasing how our full-service property offering works together to create a quality development that’s generating huge demand. The development was also awarded a Considerate Constructors Performance Beyond Compliance Certificate earlier this year, which recognises a site’s sensitivity to the environment, community and neighbourhood that it operates in. The letting agents for Victoria Trading Estate are Nolan Redshaw.